In this paper, I will inspect the postulations on which Harsanyi relies to construct his social welfare function. I will then put these postulations in question to argue that Harsanyi’s use of the smallest component of the utility function, the personal preference, involves a fundamental fallacy when it comes to a social function construction. This fallacy cannot, in my opinion, be simply resolved. Rather it demands a search for alternatives. During this paper I will suggest to preserve Harsanyi’s formal construction of the social utility function whilst replacing its content with a better candidate. I will then suggest an approach based on a notion of negative utilitarianism following Karl Popper’s guidelines. Once the new approach has been introduced, I will attempt to construct a genuine mechanism, on Popper’s grounds, for a possible candidate to a normative equation for a social (negative-utility) welfare function. Finally, I will assess its strength and validity. The table above illustrates the possible probabilities of distribution for a society of only three individuals. As long as the odds to win a luxury house are 1/3, it is most likely that the outcome will incline to prefer decision A over decision B. Nevertheless, if we consider a larger scale example in which there are total of 100 individuals, the odds to win a luxury house would be 1/100 and therefore it is more likely that option B would have a higher numerical aggregated value over option A. An additional presumption of a majority of risk-averse individuals is required to ensure B precedence over A. So far it seems that Harsanyi succeeds to construct a social function that yields a decent outcome in respect to its individual private preferences. However, this is not always the case. In fact, there are specific scenarios in which the yielded consequence satisfies no one’s private preference2. Furthermore, few fundamental doubts that will be raised during this paper are all subsequent to the core feature of Harsanyi’s construction methodology, that is, the utilitarian tradition. In order to trace the roots from which, as I will soon argue, a fundamental fallacy stems, we first have to inspect the basic pillars on which the theory stands. In order to ground his theory, Harsanyi sets up a set of postulations of rationality, which are based on Morgenstern-von-Nueman postulations on rationality in conditions of uncertainty. It is essential to first take a closer look at these postulations in order to reveal the broader perspective of his method. First and foremost is the rationality postulate. It is the core principle of the theory that grounds the use of utilitarianism. Although a thorough discussion on the problem of rationality in decisions theory undoubtedly exceeds our scope, it is essential to point out few core features of this discussion. Morgenstern and von Neuman were fully acknowledging that although tremendous steps were taken in the field of the study of economics, the fact that economics involves the analysis of the possible actions that may be taken by the individual, there is the following difficulty – “One of the chief difficulties lies in properly describing the assumptions which have to be made about the motives of the individual”3. However, they hoped or assessed that future science will acquire the requisite capacities to refute this difficulty with analytical tools such as mathematics. Though, from their standpoint, it is definitely not an easy task to overcome. Thus they adopted an approach that is capable of overcoming these obstacles, that can be described in respect to other sciences such as physics. For instance, the scientific progress in physics, was made due to a set of partial theories with increasing explanatory capabilities following each other. This progression was made regardless of the question of what extent to which exactly physicians comprehended notions such as the theory of heat. A theory which initially was “based on the intuitively clear concept of one body feeling warmer than another”4 and only later the theory evolved with a better apprehension of the notion of heat as “the quantity of heat and temperature”5. The following methodology is valid to their opinion in respect to other sciences – observe a social-economical phenomenon at the macro level, with great magnitudes of quantities. Set up a theory that has a decent degree of explanatory capacity. Extract the requisite postulations that should be imposed on each one of the individuals in order to maintain the same degree of explanatory capacity on a small scale social phenomenon. Due to the fact that Morgenstern and von Nueman’s methodology merely conducts approximations of behavioral patterns, it thus should maintain its validity when the system consists of subjective components, that is, unpredictable human actions. Completeness axiom – Each one of the individuals must hold a well-defined set of preferences. This principle abides the law of excluded middle in logics. Transitivity axiom – If completeness is true, it coerces a set of consistent decisions in which transitivity is also valid. e.g. if a>=b and b>=c, then a>=c is true. Independence of irrelevant alternatives axiom – whenever an irrelevant argument C is present or not present to a deliberation between A and B, it will have no effect on the outcome. These postulations may demonstrate the fundamental gap between the macro and the micro level, insofar as these rules make sense to reason by theory, the individual may not be, at least to some extent, employed by these rules. Furthermore, Moregnstern and von Neumon have developed their theory in a descriptive manner. Therefore the abyss between theoretical postulations for the behavioral patterns of a system and a theory that aims to determine what is ought to do in a normative manner should be pointed out. Consider the transitivity axiom, where the decision between coffee or tea may differ between a decision between coffee or lemonade and lemonade or tea. Consider the example where one prefers coffee over tea and tea over lemonade. When given a choice between lemonade and coffee one might prefer lemonade. This is because the latter comparison he faces is in fact, a new and genuine comparison of a different type. Furthermore, when considering the independence of irrelevant alternatives axiom, whilst there is a simple and formal sufficient definition of ‘irrelevant’ in logic, reality lacks an identical equivalent, hence any third argument or factor may always be relevant to a decision between A and B. In fact, Harsanyi suggests two different versions for the theory of a social utility function. Both result with the same final outcome but in two different ways. Harsanyi’s first construction strategy for the theory of social welfare utility function sets up a distinction between two different mechanisms of possible decision-making. The first one describes decisions that belongs to the individuals’ personal scope, these are personal preferences and are not considered as moral judgment by definition, whereas the second mechanism satisfies a real moral judgment and considered as moral preferences. These decisions are bounded to a social scope, they must obey a set of well-defined rules, reflect the social personal preferences, and finally, they construct the social welfare utility function. In order to dismantle any factor of self-interest, since such a personal involvement is a one that “nobody would call it a moral value judgment”6, Harsanyi introduces the equiprobability postulate. Hence the decision should be made in equivalent conditions to what has been defined by John Rawls as the veil of ignorance – a standpoint in which one is indifferent of any social status he might be assigned to in his real life. The sole difference between Harsanyi and Rawl’s methods is that Harsanyi claims that all probabilities of the possible worlds are equal and thus a subsequent utility function should be derived, whereas Rawls refutes the argument of equal possibilities and thus suggests a decision that relies on the maximin principle. However, Harsanyi argues that a moral value judgment should be equal to a sum up of all personal preferences divided to the number of the total individuals. This equation itself stands on two assumptions for its validity. The first is that different personal preferences can be summed up as simple numerical addition, and the second is that an assessment regarding all personal preferences values is possible to be conducted from an individual standpoint. Hence whereas personal preferences may differ between different individuals, a moral value judgments “will tend to have identical social-welfare functions – but only if they agree in their factual assumptions on the nature of the individual utility functions“7. In my opinion, the chief fallacy with Harsanyi’s contention is that both assumptions manifest a misapprehension of a fundamental psychological essence. In order to gain a complete knowledge about all individual preferences, one must gain the requisite knowledge about the conditions of each individual, e.g. their beliefs, social relations, mental state and so on. Even if we assume that we avoid such a complex assessment and we rather decide to conduct a social survey to simply ask any individual to write down his preferences in a numeric evaluation method, we face an unbridgeable task when trying to set up a common scale on which all evaluations can be aggregated. Assume an individual who answers a question in respect to his preference about a sum of money he is offered, and he chooses the highest preference available in scale, say 10 out of 10. Assume that this evaluation is made due to lack of money which is required for this individual in order to pay a life-saving surgery. Otherwise, he will lose his life. On the other hand, a rich boy may choose the same evaluation in respect of his will to buy a new toy that he has longly desired. How, exactly, could possibly anyone put these two essentially different evaluations on a single scale? This illustration merely shows a simple comparison between two extreme ends. But what if there are few thousands of different evaluations, each manifests a genuine standpoint with a whole different set of circumstances? I argue that there is neither a possible way to gain this knowledge nor a conceivable way to reduce or convert all these different evaluations into a single scale, as long as there is a lack of a complete knowledge of the circumstances from which all the preferences are made, which is undoubtedly the case. Harsanyi, in fact, presumes that an objectification over subjective measurements is valid, whereas a subjective measurement is essentially constructed of a partial standpoint which upon, by definition, no objective and comprehensive apprehension is possible. That is, in my opinion, a paramount fallacy that entails a wrongdoing penetration of some objective aim or means into the realm of the subjective scope. A wrongdoing that according to Popper has common features with totalitarianism in theory and practice, as we will see later on. The second construction strategy of the theory that Harsanyi suggests, whatever it might be, must yield the same results as the former. The theory is composed of the Morgenstern and von-Neuman utility function as a social utility function, whereas the components of the social utility function are the personal preferences which also bound to a VNM function. This version of the theory relies on these three axioms – (a) All personal preferences bound to Morgenstern and von-Neuman utility function (that includes a further set of rationality requirements as we discussed earlier), (b) Society has to consist of at least one individual with a rational moral preferences, and (c) a requirement for Pareto optimality principle. With these axioms, Harsanyi is able to construct an alternative form of the utility function of which one might ask how come it lacks the essential principle of equiprobability postulate of the former version. In fact Harsanyi has no way but to impose an equivalent principle over the latter form in order to maintain consistency of the theory, hence, if we take into account that the theory should be valid in terms of uncertainty, the third axiom that imposes Pareto optimality actually implies that all individuals must agree upon common possibilities for any expected utility in each one of the possible worlds. That implies that Harsanyi requires not merely an ex post pareto optimality (after experience) but a ex ante pareto optimality (before experience), that is, a common acceptance over the distribution of future probabilities between all individuals. Since VNM utility function presumptions that the self-assessment of the probability of an expected value is essential to one’s decision construction – an obviation of that factor will distort its original aim. Furthermore, it could not be implemented in practice due to the fact that different people differ not only with their self-evaluation of a specific possibility but also with the probability they assign to it, a yet one more inflection of their subjectiveness. The discussion up until now, regarding both Harsanyi and Broom’s attempt to suggest a conceivable way to aggregate personal utilities, whether if it is preferences or goodness, fails, in my opinion, to construct a decent social welfare function. This failure derives from an essential inability to conduct the two following moves. The first is to supply a normative theory on the grounds of what was initially developed for descriptive purposes8. The second, as I mentioned before, is the attempt to conduct an objectification of subjective measures which are essentially incommensurable ex vi termini. The latter fallacy, at least, derives from the positive utilitarian postulate that a constant common measure of subjective utility can be determined. Criticism has to be conducted cautiously. A rigorous criticism of the theory might entail its total obliteration, which would be inefficient considering the fact that social decisions are made de facto on a daily basis. Hence it would be better to provide minimal tools rather than abandoning the field for arbitrary contingency in which every miscreant decision is legitimate. My contention therefore, is to maintain a formal construction of Harsanyi’s social utility function and to suggest an alternative content to the determination of the individual utility measure, independent of a positive utilitarian perspective. A good candidate to fill in the void of an individual measurement of utility should be one that is satisfactory to any test of objectification. Only an adequate candidate may stand in accordance with Harsanyi’s postulations of rationality properly without requiring any external ad hoc inconsistent repairs. A possible candidate to fill in the void could be Karl Popper’s methodology. Popper has succeed to construct a theory that intermediates between Carl Hampel and Paul Oppenheim’s logical positivism model9 on the one hand, and Thomas Kuhn’s theory of the paradigm shift as introduced in his work The structure of scientific revolutions which assigns an irrational attributes to a scientific theory and its dominance gaining strategies, on the other hand. Popper argues that a scientific theory cannot be justified by merely constructing a set of positive logic axioms rather merely by its essential ability to be falsified on an empirical basis of observations. His argument which is called the falsificationist methodology can be used to distinguish between a scientific theory or a theory that makes an impression of a scientific theory but it is in fact merely a set of metaphysical or mythological claims. That is to say that a set of positive logic axioms is not sufficient to construct a scientific theory, a claim that is adequate to be applied to Harsanyi’s theory of social utility function as well. Nonetheless, a critical theory of science is yet not sufficient to use in our case. The adequate candidate we are looking for should be one that supplies an alternative suggestion to an objective utility measurement in respect of the individual. A better candidate can be addressed not on the grounds that was developed solely by Popper himself, but from an attitude that stems from the falsificationist methodology in the field of utilitarianism. The following discussion will trace H.B. Acton and J.W.N. Watkins‘ paper of Negative Utilitarianism10 to the point it will hopefully take off into my own theory, which unfortunately, regarding our modest scope, shall not be sufficiently comprehensive. 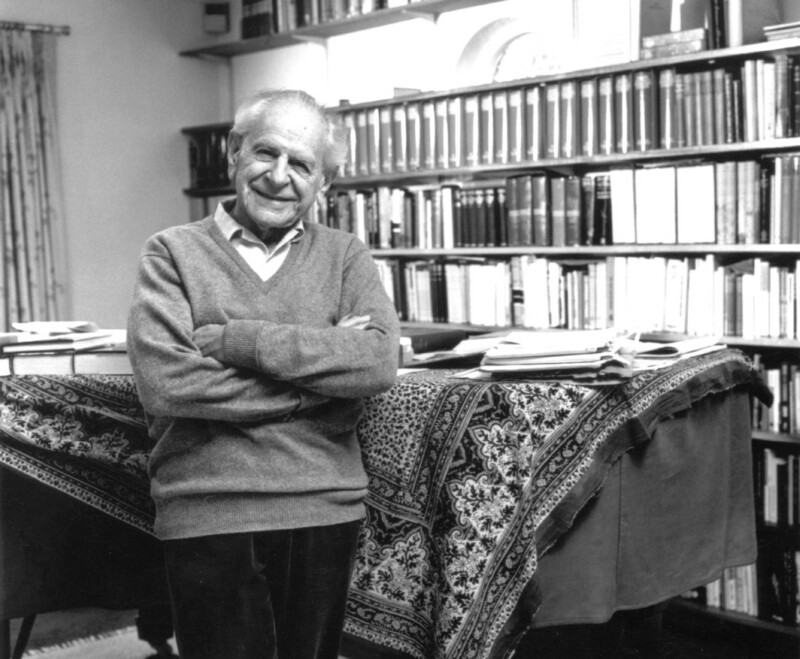 The phrase Negative Utilitarianism was initially introduced as a standalone approach by Ninian Smart11, A precedence discussion was conducted by Popper during volumes 5 and 8 of The Open Society and Its Enemies. Popper claims that the attempt to maximize happiness consists features of inclination into tyranny. The notion of happiness maximization itself according to Popper is an essential feature of the three aspects of the close society – holism, essentialism, and historicism. At least two of these aspects – holism and essentialism are concerned with our specific case in the attempt to construct a social utility function. The first aspect, holism, is derived in respect to Plato’s notion of the Greek city, the justice inside the polis “is nothing but the health, unity and stability of the collective body”12, The counter approach is to conceive the state (in our case in respect to a moral agent that conducts the social utility function) as “human designed, subject to rational scrutiny, and always serving the interests of individuals—and never the other way around“13. The second aspect, essentialism, is exemplified by Plato’s theory of the forms, which are perfect, constant and reflects of any sensible appearance inside the world. The true essences, or the forms, of these appearances can be refined with a rational and intelligible observation. This aspect clearly addresses the notion of a rational social utility function from a different standpoint. (b) It is Popper’s claim that “From the ethical point of view, no symmetry between suffering and happiness, or between pain and pleasure, Both the utilitarians and Kant seems to me fundamentally wrong in this point, which is, however, not one for rational arguments”15 refutes the attempt to impose all human conditions into a single scale of utility measurement and hence points out that there is some obscure core feature of morality that involves some extent of compassion. A feature that was clearly previously neglected by positive utilitiarianists. Watkins elaborates this discussion toward his aim to suggest an alternative approach by which a social moral theory can be constructed. I will illustrate his conclusion and use it as an intermediate insight to use towards my own suggestion. What Watkins constructs is not a positive content of a moral theory but merely the guidelines or boundaries of which such theory should be bounded to. He states that a moral theory is not essentially rational, but it could be rational upon a decision. He derives this statement from scientific rationality in which a scientific law is not a mere reflection of a natural law, rather it is a human creation that outlines one of many possible sets of explanatory rules to a specific scope of phenomena.16 Furthermore, scientific theories ‘are not positively justified- not verified [..] or even ‘confirmed’ in any verificationist sense‘, rather they are a subsequent result of experience. They have been negatively shaped, they held steady as long as their unsatisfactory implications could not be addressed into a better alternative theory. Following this logic, Watkins suggests that (a) a moral theory should gain its validation from the experience and (b) it should not be dismantled as long as there is no alternative theory that is capable of addressing its unsatisfactory implications. The former assertion could imply that instead of trying to construct an a priori moral theory from a set of positive justifications, we should rely on what is already constructed by human experience, for example, traditional morality. The latter assertion implies that the factor with which we should choose one theory over another is in its lesser amount of unsatisfactory implications, inasmuch as this methodology conducted in sciences. Unfortunately, Watkins leaves an obscure fog behind his argument in respect to these unsatisfactory implications with no single illustration for the good of an unequivocal clarification. The chief question that raises here, is what exactly are these unsatisfactory implications regarding to, in a moral manner. If we take into account that we use a subjective moral system, each moral theory should have its own unsatisfactory implications which cannot be pointed out by an external observer, or worst, observers from its inside will not be able to notice their own ramifications, because, Ex hypothesi, the moral system from which the observer make a judgment, is the best in respect of its own. On the other hand, if we regard these unsatisfactory implications as a common substratum it implies its objectivity upon which none of the sides may even notice any unsatisfactoriness. Henceforth, I will now take a stand and suggest an adequate alternative from a negative utilitarianism standpoint. If accepting Watkin’s criticism of the positive justificationism, we give up the attempt to construct a social moral theory and rather we stay with the existing, a posteriori, theories. Now we are ‘only’ left with the core problem – according to which principle, exactly, should we make a decision between two different social decisions in a normative manner. I now choose to use the principle of less unsatisfactory implications in respect to the reduction of suffering to the highest extent. This implies that we use it as the objective substratum upon which a decision can be made. Nonetheless, this requires a further explication – In which manner can suffering be regarded as an objective measure? In my opinion, there should should only be two features to determine a lack of capacity. (a) mental incapacities such as those determined by mental illnesses, or those determined by intellectual disabilities. (b) shortage of basic physical means such as residence, food, clothes, and so on. This shortage is in fact empirical and can be easily measured by the individual’s economic status. Notice that in order to maintain a meta-ethical approach and keep away from any intervention of the personal scope. The only mental measure that can be taken into account is that of any incapacities rather than any kind of a subjective judgmental system. This determines the boundaries of the theory as well as implying that a social function from a third party standpoint should be indifferent to any two kinds of arguments which are not satisfactory to mental or physical incapabilities. In order to construct my proposed negative utility function, we shall use three different scales – the first shall be used to measure mental incapabilities (m), the second to measure financial incapabilities which by definition should be relative to the average income of a given society (p), and a third that manifests the magnitude of suffering, which I call risk magnitude and refer to any kind of direct exposure to a threat, this measure includes physical incapabilities (r). In order to gain a single evaluation for every individual, it is essential to sum up these three different scales according to one single measure – the extent to which they reflect a lack of capacity of the individual to overcome its own circumstances in a negative manner. Or in short – the extent of which an individual is suffering due to a given circumstances in respect to its total capacity to face its own state. A moral agent, a government for instance, of a society that consists of four individuals has a free budget of 1,000,000 USD. The government is conducting a discussion that involves different ministries with different interests and raises few different options as shown below. Broad investment in elementary schools. Elementary schools might have a positive impact on both individuals with mental incapabilities such as mental retardation and with a lack of elementary education. Furthermore, this investment is likely to decrease degrees of unemployment upon these individuals and to reduce degrees of social crime. For p2, p3 and p4, if a medical care is successful, it is most likely that they will have better chances to improve their financial status, hence 80% of 6 and 80% of 8 is taken into account as well. Taxes barely impact low social statuses, hence for p2 and p3 the impact is only 20% and for p1 and p4 its high as 100%, but p1 and p4’s f levels are correspondingly low as 2 and 1 so the total consequence yields only 3. This decision impacts merely p1 risk magnitude since p1 lives in a dangerous neighborhood, but the overall negative utility level of p1 cannot be high since his other scales are low. Whilst according to Harsanyi, this decision could gain dominance over other decisions by high personal evaluations, a negative utilitarian approach assigns no value to this decision except its indirect plausibility of a temporal reduce in the extend of social unemployment. The chief factor by which the function should be assessed is the question whether it yields an output that stands in an accordance with its own aim. The following illustration shows that the mechanism yields the following evaluation to these decisions in question according to the following descending order – Broad investment in elementary schools, investment in medical care, taxes reduction, improvements in social security and investment in national celebrations. Now we shall recall that the aim was defined as reducing social suffering to the highest possible degree in respect to a given set of possible decisions. I think that we were able to fairly achieve that aim in a restricted experimental and theoretical manner. Undoubtedly this function can be easily refuted and fissured when being examined in various circumstances. Furthermore, if one wishes he may raise a constellation of a social context that will likely manifest an absurd outcome as well. Unfortunately, I could not afford myself a further elaboration of the mechanism inside our limited scope of inspection. Hence I only may suggest a direction of a possible investigation with a decent outcome that may stand in accordance with its aim due to the fact that all the arguments I use are empirical and observable in an objective manner. I fully acknowledge that all these arguments are merely approximations. Furthermore, any use of that theory in real case scenarios will have to use social groups as the smallest components than individuals, so that it should rely accordingly on greater approximations than illustrated above. However, I argue that it is a possible and fertile research to conduct. For this purpose, a computer software can be developed to make this mechanism applicable. A series of trial and error experiments on top of such software will be required to make results more sufficient with an increasing degree. Morgenstern, Oskar, von Neuman, John, Theory of Games and Economic Behavior, 1944, Princeton University Press. Popper, Karl, The Open Society and Its Enemies, 1947, George Routledge & Sons. Acton, H.B, Watkins, J. W. N., Symposium: Negative Utilitarianism, 1963, Proceedings of the Aristotelian Society, Supplementary, Vol. 37 (1963), Wiley on behalf of The Aristotelian Society, pp. 83-114. Harsanyi, John, Morality and Theory of Rational Behavior, 1977, Social Research, 44:4, p.623. Broome, John, Utilitarianism and Expected Utility, The Journal of Philsophy, Vol 84. No. 8, 1987, pp 405. R. N. Smart, Negative Utilitarianism, Mind, New Series, Vol. 67, No. 268, 1958. 2 For further discussion, see footnote #13. 3 Morgenstern and von Neuman, Theory of games and economic behavior, 1944, 8. 8This fallacy is known in the literature as the Naturalistic fallacy which was introduced by G.E. Moore on the grounds of a broader debate that is commonly related to David Hume and known as the is-ought problem. Notice that Harsanyi’s second version of the theory is based solely on three postulations of rationality and yields the same VNM utility function, which is originally justified in the scope of a descriptive theory. Furthermore, the inference Harsanny conducts from the postulations of rationality to a normative theory lacks an intermediate normative claim. This gives an impression that the inference is natural whereas it conceals a normative tacit premise. 10 Acton, H.B, Watkins, J. W. N., Symposium: Negative Utilitarianism, 1963. 11Smart, Ninian, Mind, 1958, 3-542. 12Popper, Karl R., The Open Society and Its Enemies, 1947, 92. 15Ibid, Notes to chapter 9, p.241. 16“For laws in this sense are no less human creations than are moral standards”. Ibid, 102. 17In fact, every decision upon a group of individuals involves a necessary extent of injustice by definition. Hence the only way to determine which decision should be chosen over the other is by the least possible amount of injustice it imposes.